Complete and Full Range of Anemometers. Pyranometers, and Out Door Sensors for Crane Safety, Machine Safety, Solar, and Wind Projects. Also these instruments are widely used at Ports, Yards, Steel Mills, for Solar and Wind Projects and for Airports. WM44P as the model of our product range. It is produced in the following versions: - Pulse output - Analog output 0-10 Vdc - Analog output 4-20 mA Each anemometer is equipped with pre-wired cable standard length of 20 meters or other measures on request. 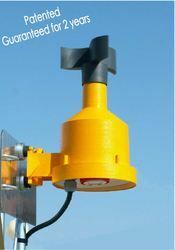 The anemometer consists of a plastic rotor impact-resistant and to UV rays, at low temperatures and hail. Rotating on ball bearings, drives a magnetic contact, generating 4 pulses per revolution. highly accurate indicator with dual set point alarm relays. 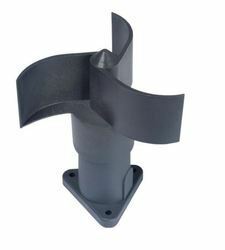 compatible with most common wind sensors. Two programmable set points (ALARM1 & ALARM2). panel, cabinet doors, and various industrial enclosures. Specially developed for the tower crane sector. 3 digit LED display (14 mm digit height). 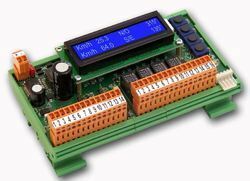 Selectable alarm type : intermittent, continuous, latched..
Wind Speed and Direction Data Logger. Multifunction Wind Speed and Direction Indicator. Easy Panel or MCC MOunting for PLC. Easy PC COnnection for MOnitoring. 4 Analogue Output 0-10v or 4-20mA Signal. Can be supplied with Battery Back up and or UPS for Remote Locations. Can be supplied with IP65 Housing for Out Door Aplications. 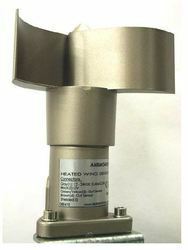 Heavy-duty wind sensor, designed for working under extreme cold weather conditions (until -25°C with ice and snow). turbines, buildings, weather stations, etc. and snow untill the minimum temperature limit of -25°C. connected to a wide variety of digital indicators. wave generated by a N.O. wind speed in Km/h by 1,05. 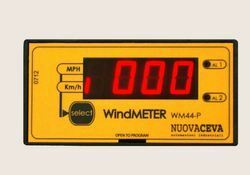 The WM44-SS Wind speed Display, is a device with high accuracy with 2 programmable threshold output. 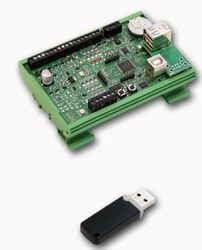 It is particularly designed to work with ANEMO4403 but it can work also with a huge range of anemometer. 2 programmable threshold (ALLARM 1 and ALLARME 2). The device can be easy mounted on a front door of electric panel. 2 digit LED display (14 mm digit height). 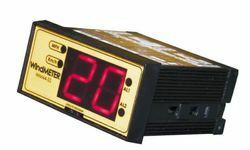 2 LED alarm status indicator (AL1 & AL2). LED speed unit indicator (Km/h or Mph). When ALARM 2 is on , the displays reading flashes to warn the operator of imminent danger. 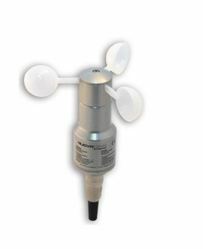 Looking for Wind and Crane Anemometers ?